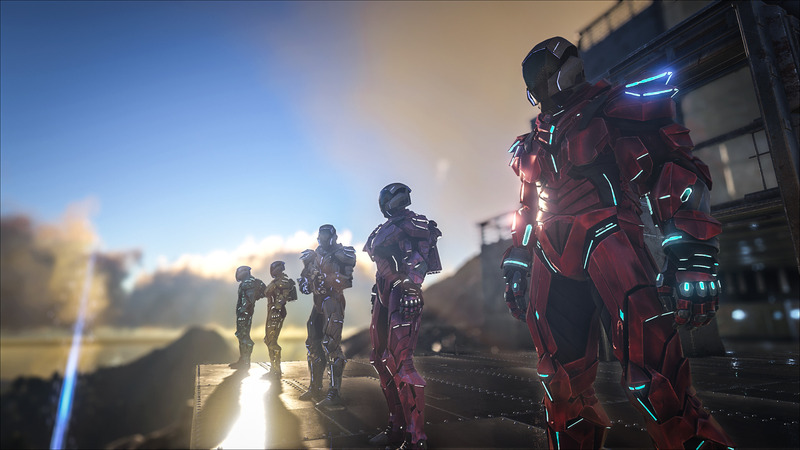 Ark: Survival Evolved is in for a major update said to be the biggest one yet, including new Tek Tier Armor. 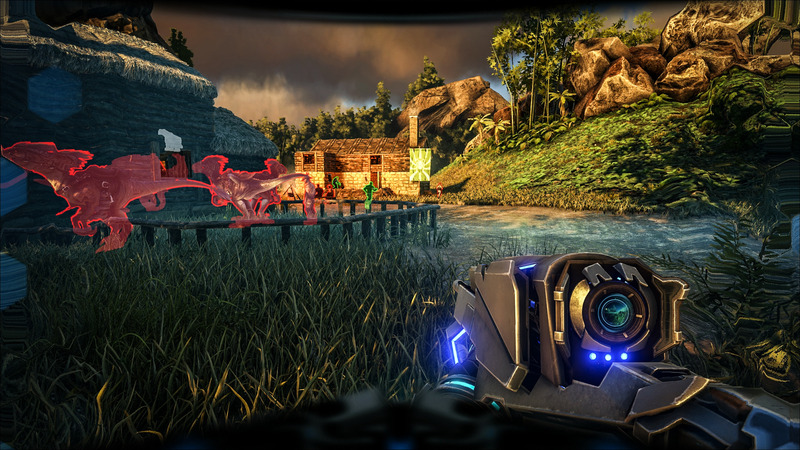 Be prepared as Ark: Survival Evolved is expected to evolve past modern day technology. A new major update called the Tek Tier patch is coming and from what creative director Jesse Rapczak tells us, this update is going to be the biggest one yet. The update will be coming out on Monday, January 30, for PC only. Unfortunately, no date has been given as to when console players will receive the update, but we'll keep you updated as soon as the information is available. The new Tek Tier update will be introducing new power armor sets, which come through the new Tek Tiers. Each piece of Tek armor will grant players specific abilities, so it'll be worth gathering as many pieces of Tek armor as possible. Tek Vision - Tek Vision allows you to identify frendly players, enemies and creatures within the world during the day or during the night. Tek Boots - Tek Boots allow the player to be impervious to fall damage, but that's not all because these boots also make scaling cliffs and slopes a breeze. Tek Pants - Tek Pants enhance the player's speed making them run extremely fast . Tek Rifle - Tek Rifle will be a rifle with a high powered scope that has the ability to shoot lasers, and it'll even have a night vision mode. Tek Guantlet - Tek Gauntlet will increase your punching power drastically. Tek Jetpack - Tek Jetpackwill allow you to fly through the world with ease. All of the Tek Tier armor can be combined, so players can customize their Tek gear however they wish. The new Tek gear is set to be only for the end of the game, because the resources you need to make the Tek gear is only dropped by bosses. Besides all the new Tek gear the update, they're also going to be adding new weapons, four new dinosaurs, and sheep (You can shear the sheep to collect its wool). Boss encounters has been reworked, now each boss now has three individual difficulties. These bosses will drop new items, encouraging players to go back and take them on once more. 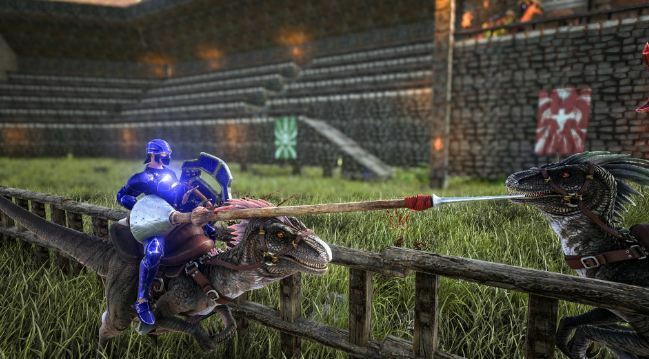 If you ever dreamt of Jousting on the back of a velociraptor nows your chance because a lance is going to be added with the new update. Even more player customization, now you get to change your character's hair style and facial hair. The hair will grow in real time and you can style it,cut it, or even dye it. This update is described as “the patch to kick off the final stretch”, says Rapczak in reference to the game's full launch for PS4, Xbox One, and PC. The full release of Ark: Survival Evolved is set for sometime in 2017. Lastly, Rapczak mention that Studio Wildcard is thinking about adding an underwater element to Ark sometime in the future. Hopefully we can see a boss encounter in the water, that would be truly epic. What do you think about the new update? Let us know in the comments below.